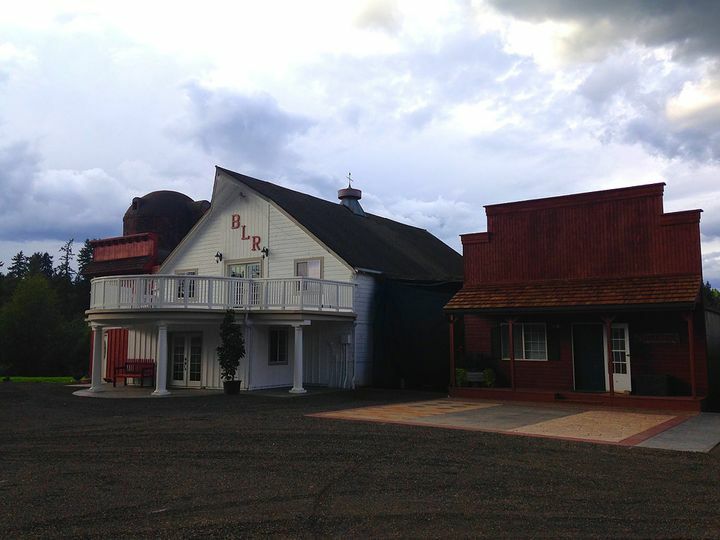 The Bostic Lake Ranch venue has a wedding barn in which couples can marry in the greater Seattle, Washington area. 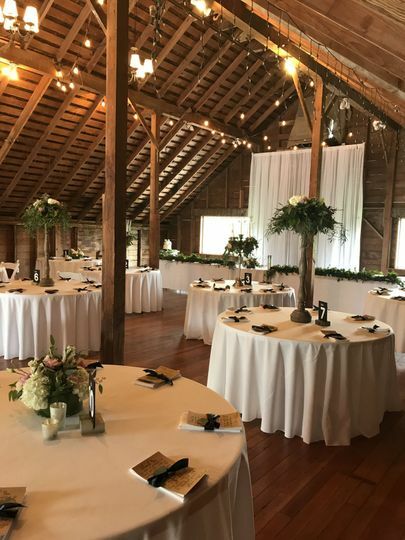 At this rustic and vintage venue, couples can find an authentic barn and brick silo dating back to 1917. 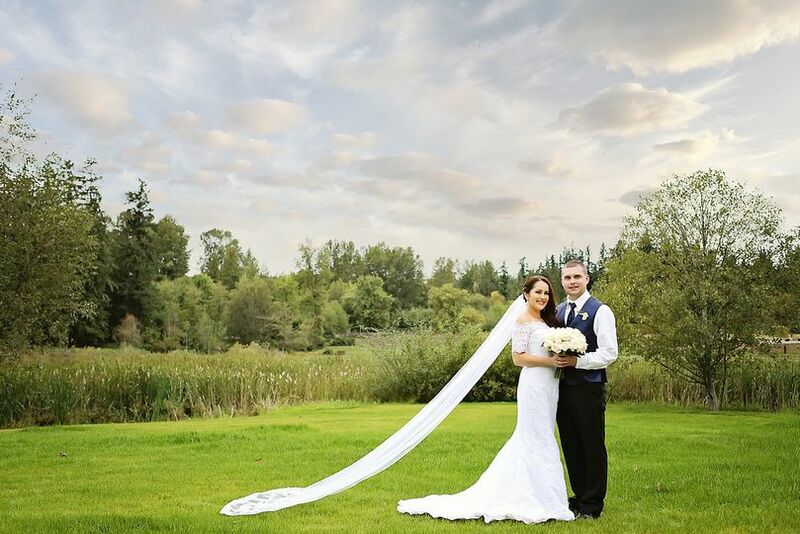 This traditional wedding space is located 15 minutes outside of Juanita Beach Park. 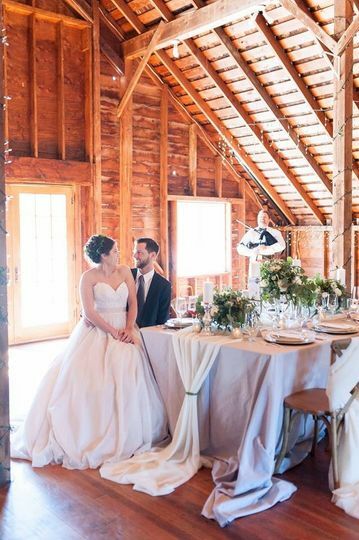 Couples can host up to 250 wedding guests for their celebration at the Bostic Lake Ranch. Here, couples can take wedding photographs all around the property. 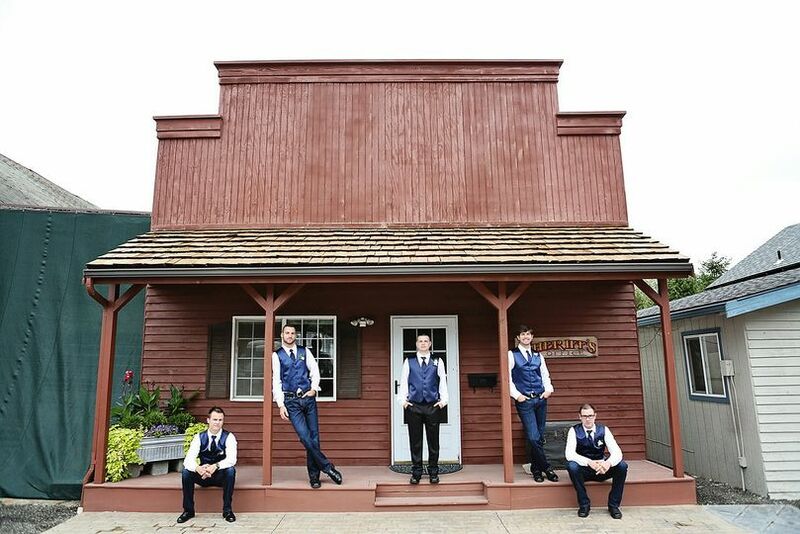 Open green fields add a natural touch to a wedding portrait, while a traditional western-looking storefront next to the barn makes a country backdrop for images. Dubbed the Sheriff’s Office, its reddish brown facade with a long porch make it a fun or romantic site. 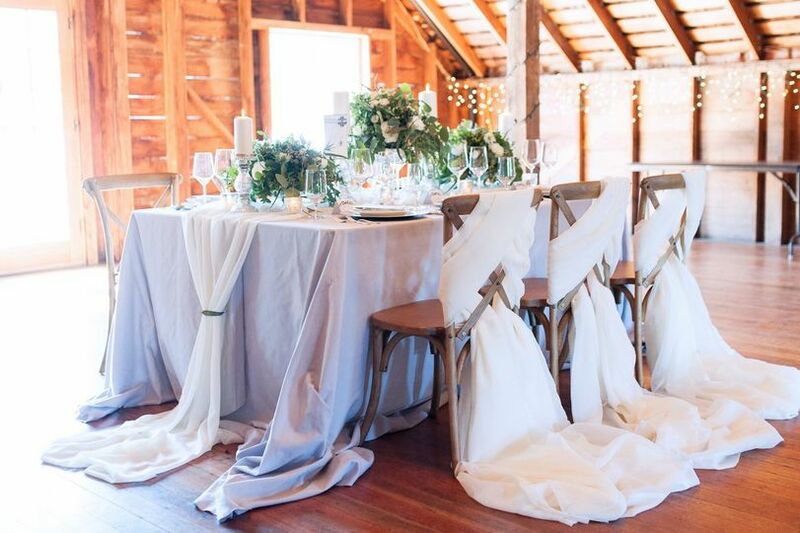 There are plenty of outdoor ceremony locatios on this ranch. 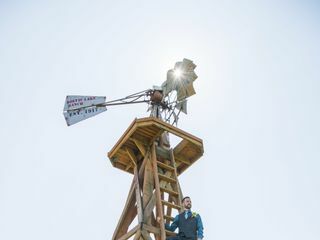 Couples can marry in front of the grand Windmill while looking out at the pond in the background. 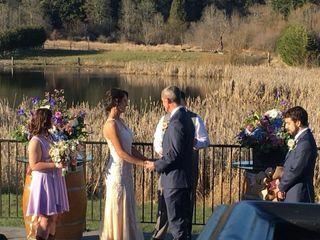 They could also choose to marry on the patio overlooking the pond instead of setting up the folding chairs in the grasses of the lawn. 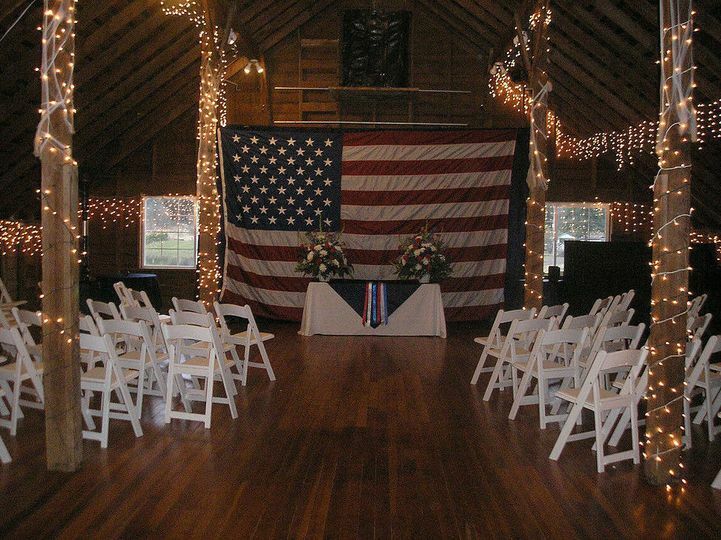 Inside the barn, couples can host their ceremony or reception. 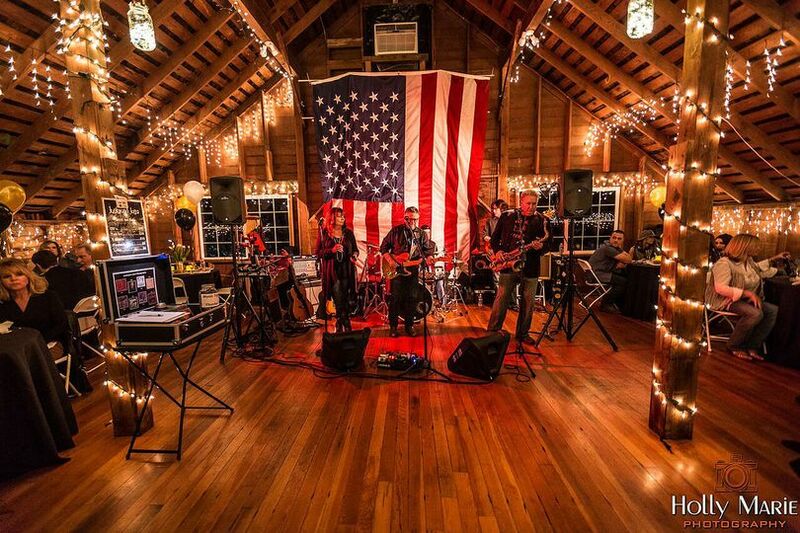 The venue also welcomes couples hosting bridal showers and engagement parties. 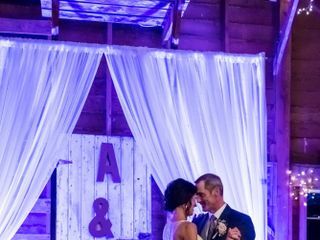 The dramatically sloping ceilings come nearly down to the floor in this two-story wedding barn. The unassuming white exterior gives way to a wonderland of wooden construction and fairy lights. Natural light enters the space by way of windows on the back wall and the large glass front doors. During the day, this space is bright and airy. After the sun sets, it takes on a romantic ambiance thanks to the strings of lights and the light fixture overhead. 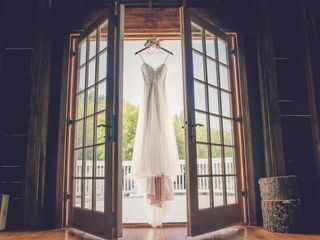 A bridal suite gives couples the perfect location in which to prepare for their wedding day. They can get ready and take photographs of their time in this location. This ranch is also pet friendly. Couples can celebrate their wedding with the furry, four-legged members of their family. Onsite parking is available, making transportation to this venue easier for attendees. 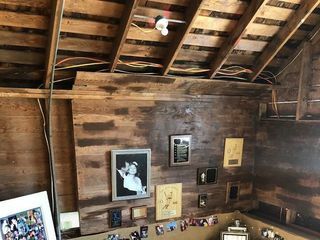 This farm was built in 1917, and the barn was originally used as a milking barn for dairy cows. The other buildings have been renovated since this era, although the brick silo stands in its original — and very sturdy — condition. 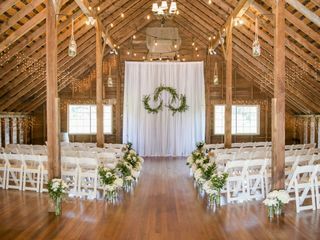 These additional buildings are used as storage for the farm, but one does include the venue’s grooms room. A small herd of cattle, owned by Bostic Lake Ranch, live on the adjacent property and are very friendly. Also, working with Bostic Lake Ranch's owner Jill for our company event was fantastic! 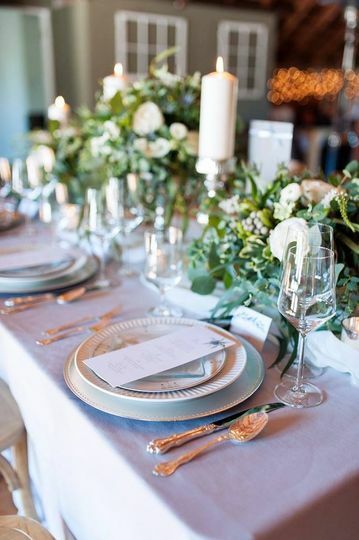 She was able to coordinate all of our needs, specifications, and lead us in the right direction to ensure we had the vendors and items we needed every step of the way; even including our last minute changes, she was able to go the extra mile and ensure our event was a huge success -- our guests couldn't have been happier! How could I have lived in Redmond since the early 70's and never known about this beautiful venue a little more than a mile away? We held a memorial service here last weekend and it could not have been more perfect. 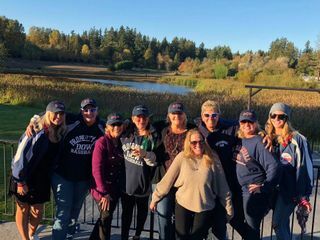 Amazing weather, bald eagle flying overhead, kids playing wiffle ball on the grass, our music wafting over the lake, and the history of the place......well, it's just stunning. At least three of our young lady guests stated "I'm getting married here!" Jill was terrific to work with, so accommodating and friendly and full of good advice. Big plus that you can provide your own food and drink if you wish. If you are looking for a venue in the Redmond/Eastside area, this is your place! Thank you Jill, Dave and Bostic Lake Ranch. Jill was INCREDIBLE to work with from start to finish! I'm so blessed that we crossed paths and she made the entire wedding process easy as could be. She is warm and welcoming and makes you feel as though you've known her for years. Anyone that is looking for a beautiful barn, with natural charm, and tons of photo opportunities should stop here!